The creepy and unusual are Sage's specialty. Normal is boring, so she tends to liven things up with weird and creepy facts. Have you ever come across a game that's just so creepy, freaks you out, makes you paranoid, but its short? That's what these games are. They give you the creeps with amazing atmosphere, creepy characters, and excellent scares. But, unlike other horror games, they don't need a long story explaining the plot, just a light story and plenty of scares. So this one is a bit different from other games. The main goal of this game is to explore the deep web, and gather keys to unlock the Red Room. To find these keys, you open a list of links and complete some puzzles to find them. Some of the links only work at certain times though, so keep an eye on what works and what time. During your exploring you risk being hacked, when this happens you must complete a mini game to prevent the hack. If the hack is successful, you can lose days, and possibly your notes with the keys. There are a total of eight keys hidden in the deep web. Once you have all the keys, you can unlock the Red Room. The Red Room is an online service/website where viewers can see and participate in interactive torture and murder. Be warned, there is a chance that kidnappers are tracking you through the deep web and will come for you. When you feel like someone is watching you, turn out the lights and stay very quiet, as this game utilizes your microphone. Once the threat has passed, continue on your exploring. Different sounds around you can also alert of potential kidnappers, such as chairs being moved, whispers and foot steps. This game honestly freaked me out the most. There are real places on the web that exist like in this game, and being tracked and kidnapped is a real possibility. Never go around the deep web unless you are fully prepared for what you may come across. 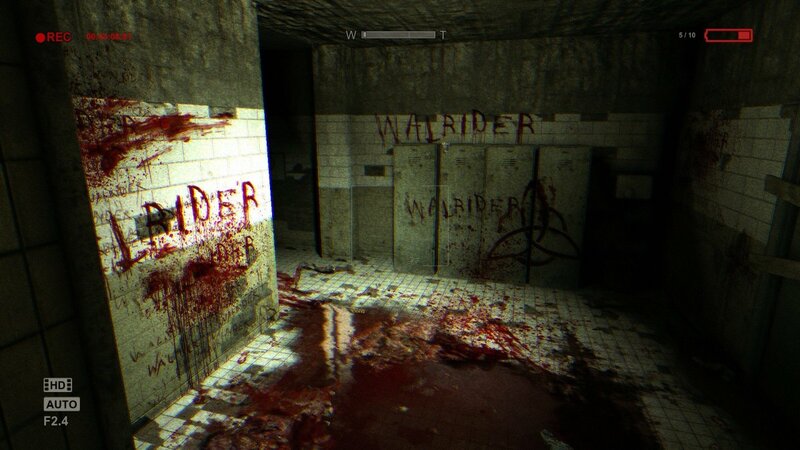 All in all, fantastic, creepy game that makes you paranoid. Love it! Psychologically disturbed painter anyone? 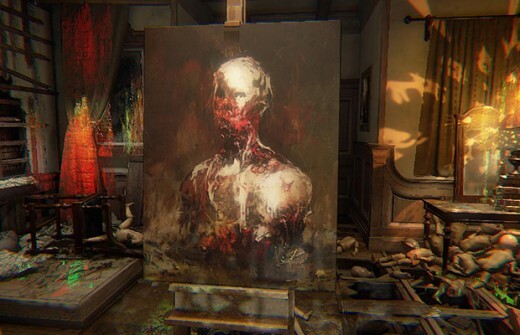 Layers of Fear has you play as such, exploring a Victorian style mansion. All he wants to do is complete his painting, yet the deeper you go, the more secrets you discover about this painter. The gameplay is heavily story driven and revolves around puzzle-solving and exploration. As you explore, you come across many frightening scenes, most of which seem like hallucinations. After you complete each level, level meaning you found an item to add to the painting, the game gets more intense, with the scares occurring more often. A DLC was released as a direct follow up. Though, instead of controlling the painter, you now play as his daughter. This DLC mainly focuses on her relapse into trauma after returning to the house. This game has it all, spooky atmosphere, haunting imagery, a ghoul you keep coming across, whispering voices, it just has a fantastic atmosphere overall. The jump scares are also well done. 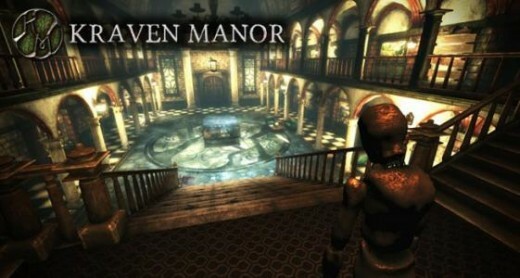 Again with the creepy mansions, Kraven Manor is a first person horror, where you get to explore a massive mansion and discover its mysteries. The best part about this game isn't the scares though, it's the fact that you have the ability to rearrange the mansion as you please. As you explore, you can find miniature models of the different rooms. You take it back to the table in the front with the full model, and add to it. Adjusting the model causes the rooms to move and appear in real space. Hidden around the manor are collectible secrets, when collected you obtain a very special ending. There is also a unique antagonist that pursues you to the final moments. Also, keep an eye on those weird bronze mannequins, they are kind of shady. If you aren't a fan of mannequins, this game will definitely give you the creeps, as there are mannequins scattered around the manor. You can also hear them move when you don't look at them, similar to the Weeping Angels in Doctor Who. The ability to change the manor around is unique, I've never heard of a horror game allowing you to do that. All these scary games taking place in houses makes me not want to live in one. So Emily, she just wants to play with you and her dolls. In this game, you take the roll of a pizza guy who has been trapped in a house with Emily and her dolls. You must survive from 11 till 6am. Each hour offers up a new doll you must survive against, with each doll mechanic being different. In the kitchen, there is a whiteboard that gives you directions. Don't listen to it, instead do the opposite of what it says. Kiki: the first doll you encounter. When you hear her giggle, you must locate her and stare at her until she goes away. Mr. Tatters: a clown doll, he is the second to appear. When you hear his deep laugh, stand still. After a few seconds you will hear him make a sad noise, then you can move again. Chester: the final doll to appear. When you hear his chuckle, run out of the room you are in. Eventually, you go against Emily in a game of Hide n Seek. You must find her in several locations before the time runs out. If you get attacked, you restart from the beginning of the last hour. In the final hour of the game, you must survive against all the dolls and Emily. You better hope you don't get caught with Chester and Tatters in the same room. 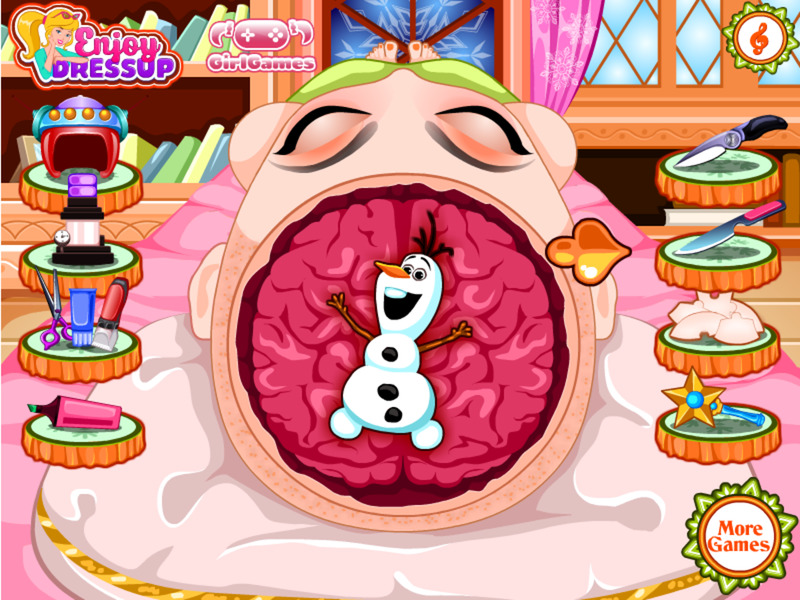 This game is very creepy, especially if you are like me and are a bit freaked out by dolls. This game is also available for the HTC Vive. Yay up close spooks! A 2D side-scroller game, Detention is set in 1960s Taiwan under martial law. The game follows two students, Wei and Ray, after they are trapped in a high school located in a remote mountainous area. Wei fell asleep in class, but when he woke, everything had changed in unsettling ways. The school is now being haunted by creatures known as the "lingered". While hiding from these monsters, the protagonist begin to unveil mysteries that reveal the dark past of the cursed school. Detention incorporates religious elements based on Taiwanese culture and mythology. The atmosphere is also very dark, grim and haunting, fitting the creatures that now inhabit the school. The main way to avoid the lingered is to hold your breath as they past, though some require you to run and hide in a room. This game is very interesting and very. very creepy, mainly from the atmosphere. The designs of the lingered range from human looking, to tall, lumbering monsters. A fresh look on ghosts. 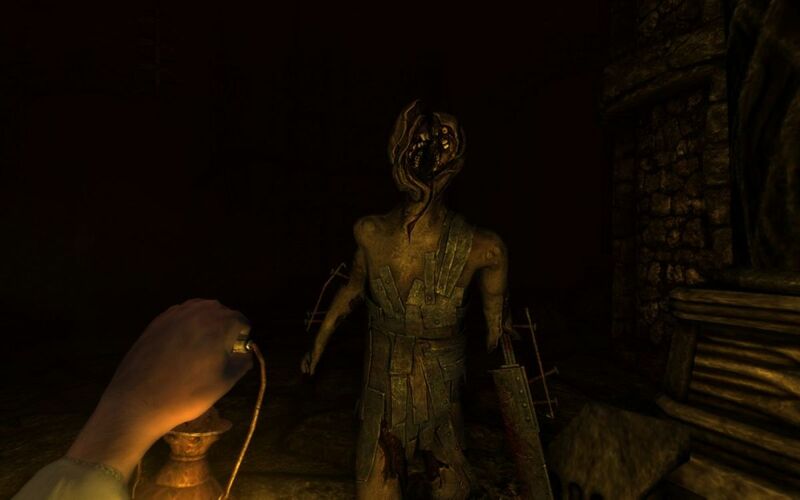 Which of these games gave you the creeps the most? I would say the age range would be 16 and up, but it really depends on what you can handle. Love it. What's the age range for these? I like Emily Wants to Play, LOL.